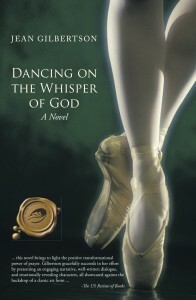 With Dancing on the Whisper of God safely completed and available, I’ve been working on another novel for many months now. I am both loving it and feeling overwhelmed by it—a sure combination for keeping my interest. But just this week I came to a startling realization: The chapter I’ve been struggling with simply has to be scrapped and I have to start over. I suspect there are earlier chapters that are the same. I admit to a twinge or two of regret, but sometime more important is there too: an excitement that maybe the revision I have in mind will be strong and solid enough to carry the project to completion. We are all beset with issues of “historical cost”—that tendency to want to stay with something way past its expiration date on the argument that we have so much invested, we can’t possibly throw it over for something else. But there are times when that’s exactly what we have to do if we are to choose life. I have decided to trust the excitement that tells me there is a better track over here.